As part of the clients initiative to modernize its software engineering practices, the Standard Software Engineer will be responsible for software design, development, and quality testing for one or more scrum teams developing REST-based entity services. Development is heavily focused on iterative development and incremental release of product features, using agile methods and automation (DevOps and integration testing). The ability to work in a changing, often-ambiguous environment is essential. Creativity and collaboration are foundational skills. The Standard Software Engineer will work with a platform team focused on building out REST-based entity services for clients next-generation service architecture. The entity services will align with client business entities, with multiple related services owned by a single platform team, along with the platform data store(s). Services are deployed to an internal cloud (Pivotal Cloud Foundry). Development is done using agile methods (scrum mostly) and modern software development tools and techniques, including continuous integration and deployment (CI/CD) with GitHub, Jenkins, and Artifactory, and test automation using Cucumber and JMeter. As a software engineer, you will work with technical managers, architects, and subject matter experts to define and refine requirements and API specifications; perform analyses of existing business services and data stores; create detailed designs; write code and unit tests; help the team achieve consistent and quality code through code reviews and code refactoring; coordinate with QA engineers to define test cases and ensure they are satisfied; assess and use external systems such as NoSQL databases. Initially the new REST-based entity services will be built atop existing client systems, so understanding those systems and their data models – and how that data maps to the API data models – will be crucial. The successful candidate must be competent to work at the highest technical level of all phases of service definition and development. • Software Engineer part of a scrum team responsible for the design and development of services implementing REST-based APIs. • Collaborate with other engineers on the team, including pair programming and code reviews. • Work with QA team and developers to define and implement test strategy, and to ensure quality. • Work with scrum master to break stories into tasks and provide estimates, and with the team to ensure the development efforts are focused and aligned with stories. • Work with technical manager(s) and scrum master in communicating status, figuring out sprints and milestones, and aligning sprints to business needs. • Work with contractors in delivering services. • Work with engineers, business analysts, scrum masters, and others who are working at a remote location, or virtually. • Debug and Diagnose urgent issues that may arise with production services. Life at Global Technology Solutions, Inc.
About Global Technology Solutions, Inc. 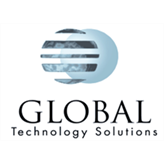 Global Technology Solutions, Inc. (GTS) is a provider of Information Technology Service Solutions, Telecommunications Services and Warehousing/Logistics. We focus on meeting the needs of our public and private sector clients by providing services in the following areas: Cyber Security/Information Assurance, Network Systems Integration, IT Services Solutions, Supply Chain/Logistics and Program/Project Management. We partner with our clients to research, analyze, interpret and understand their business. Our business philosophy is to provide superior value resulting in significant economic and operational benefits to the companies we support. We are successful in delivering results for our clients due to our focus on the company’s core services, demonstrated consistently by our investment in time, resources, technology, and processes. Global Tech is ISO 9001-2008 certified, providing an excellent quality management system to effectively address all areas of our business and client engagements. ISO 9001-2008 accreditation gives us the quality system to deliver excellence in customer satisfaction. To further enhance our quality systems, Global Technology is in the process of implementing ISO 20000 and CMMI Level 3. Global Technology Solutions selected SAP Enterprise Resource Planning software on which to operate, enabling the organization to more efficiently support and process client transactions and future organization growth. We continue to improve and refine our core services to deliver cohesive, high value solutions and services and ensure that our offerings are in alignment with the strategic goals and objectives of our clients. Want to get notified about new jobs at Global Technology Solutions, Inc.? Developer - Standard St. Louis, MO at Global Technology Solutions, Inc.